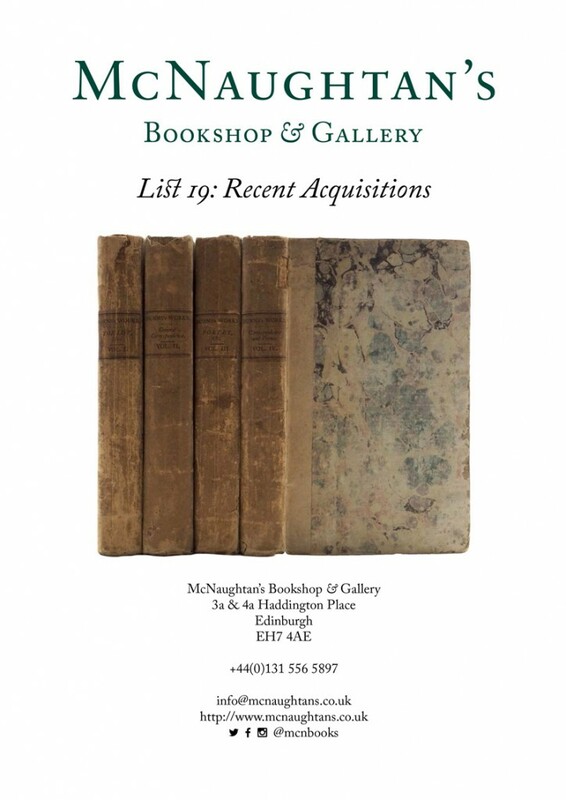 We are pleased to announce List 19: Recent Acquisitions, containing 30 items in a variety of fields, including Scottish books, modern first editions, travel, bindings, and more. Highlights include a presentation copy of Katherine Thomson’s second novel, a volume of Acts of the General Assembly of the Church of Scotland covering the tumultuous 1640s, a collected works of Burns in the original boards, and first editions by William Burroughs and W.B. Yeats.